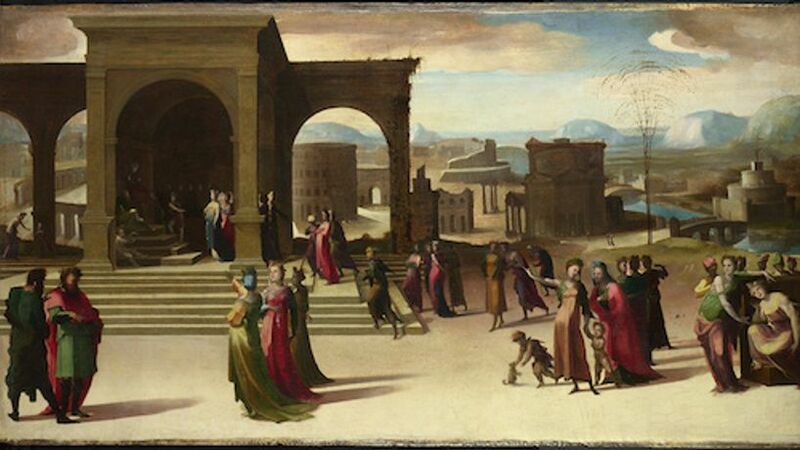 Discover how architecture forms the basis of many Italian Renaissance paintings. The exhibition is the result of a research partnership between the National Gallery and the University of York, and offers a fresh interpretation of some of the National Gallery?s own Italian Renaissance collection. In addition, other masterpieces are featured ? such as the Venetian master Sebastiano del Piombo's 'The Judgement of Solomon' (Kingston Lacy, The Bankes Collection, National Trust), on display in London for the first time in 30 years, and 'The Ruskin Madonna' by Andrea del Verrocchio (National Gallery of Scotland). Five short films have been commissioned to coincide with this exhibition, providing modern perspectives on real and imagined architecture from award-winning Swiss architect Peter Zumthor, film-maker Martha Fiennes, art historian T J Clark, film historian John David Rhodes and computer game cinematic director Peter Gornstein.